A few years ago, I began collecting beautiful lampwork glass pieces for my beaded jewelry designs. I got a bit carried away with the alluring designs I found created by various glass artists and purchased more than I have been able to use in my work. So I am selling some of these gorgeous lampwork pendants and beads so that another jewelry artist can use them in their designs. They are too beautiful to sit unused in a box. Please note that these pieces were not made by me but by other talented artists. So I will list the artist who created these pieces, if known. Shipping is listed as USPS First Class for US and Canada. If you are interested in Priority Mail or insurance, let me know before checking out and I will change the shipping charges for you. If you are a customer located in another country, please contact me for international rates to your specific country. Clearance items are marked 40% off now through 4/29. 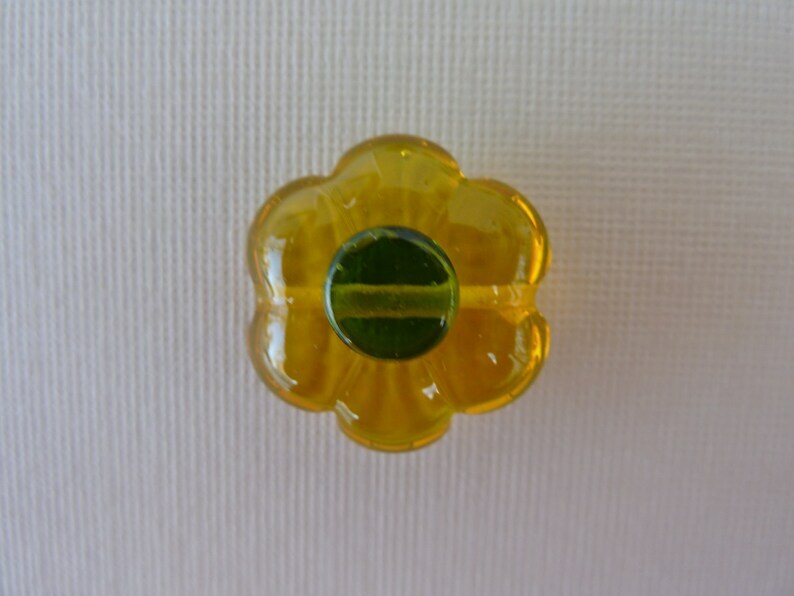 Lovely lampwork flower beads, perfect for spring! Quickly shipped too from this wonderful Etsy shop.